This coastal themed vacation home offers an exceptional, private & relaxing vacation experience. 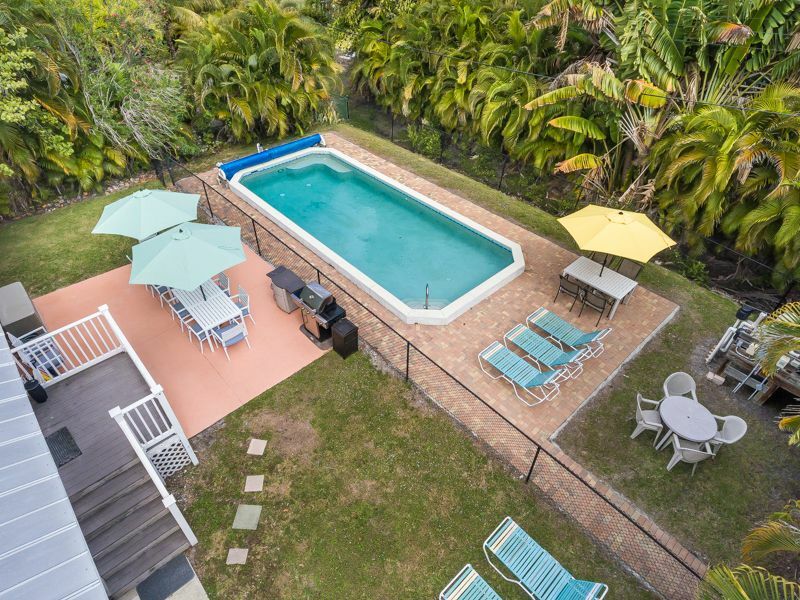 Come to the beach and enjoy our huge private pool with your front door a mere 700 feet from the water`s edge. This is a truly great traditional "Beach Cottage" that has been updated for luxury. Offering 2 King Master bedrooms, both with ensuite baths,one with jacuzzi tub, Queen bedroom 2 twin bedrooms, and 6th bedroom with twin trundle plus sofa sleeper in the living room. Fully equipped kitchen, fabulous huge pool with sundeck and lots of lounges. A new 6 person hot tub with 60 jets arrives early October. 6 TVs, DVD, VCR, Wi-Fi internet, telephone with answering machine, free long distance to the USA and Canada, coffee maker, toaster, blender, microwave, washer and dryer, all dishes, linens, hairdryer and soaps. Gas gill BBQ and outdoor dining. Outside after swim shower, beach chairs and toys. Close to golf, mini golf, fabulous local library, community pool and great restaurants and bars. The world`s safest beach offers gradual sandy slope and little surf. Perfect family get-away location. Fully fenced yard for Fido. Handy mid island location. Sun Villa is located at 5791 Estero Blvd. at Aberdeen, 2 blocks north of the Catholic Church at Beach Access 14. Sun Palace Vacations is a family owned, nationally accredited vacation rental management company listing homes and cottages exclusively on Fort Myers Beach. We live, work and play here. We bought this house in 2004 as it is directly across the street from our Sun Palace 6 bedroom home. The owner had become a friend of ours and we jumped at the chance to own this lovely home. The home is directly across the street from the beach and also has a large yard with a private pool and patio. We manage 6 homes in this location offering unique accommodation options to large family groups. All on one level and elevated 4' from the ground. The house worked great for our group! Sun Palace Vacations were great to work with ! They checked in on us to make sure everything was as we expected. Having a code for the door was much better than having to deal with keys, since we were a group consisting of 3 families and 13 people. Thank you, it was great, so close to beach, we watched sunsets every evening. We are so pleased that you enjoyed your stay and hope to see you again! The road construction should be over soon.